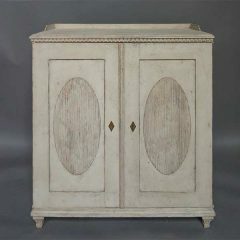 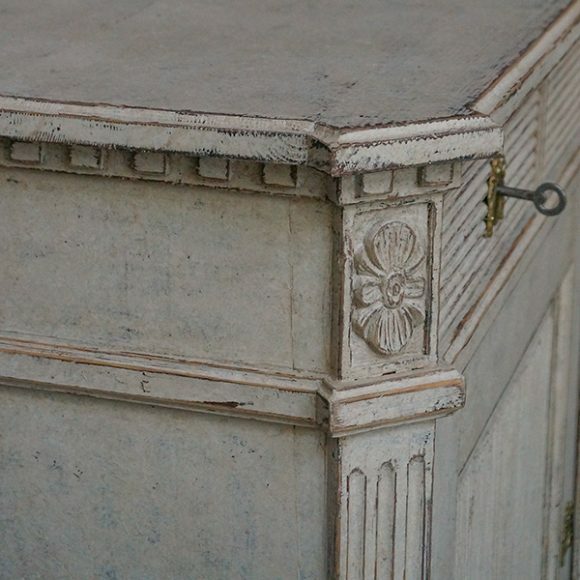 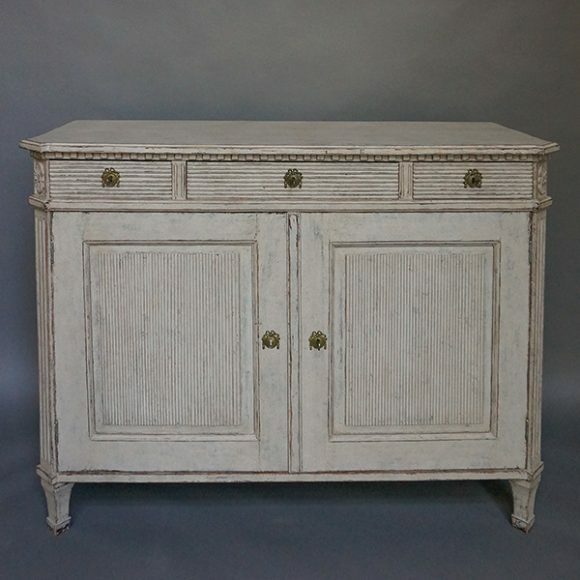 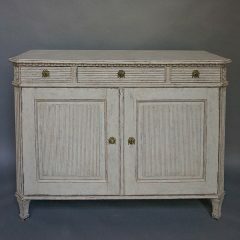 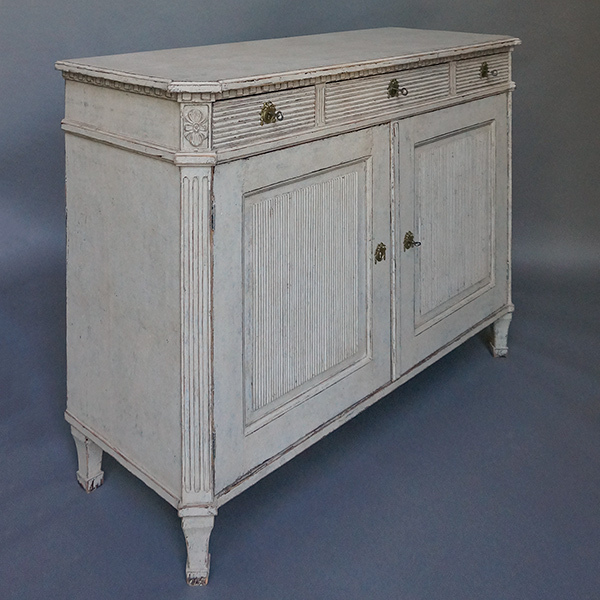 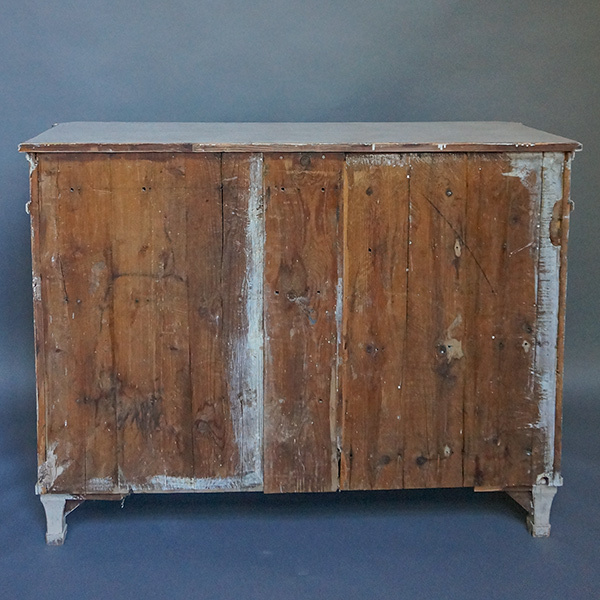 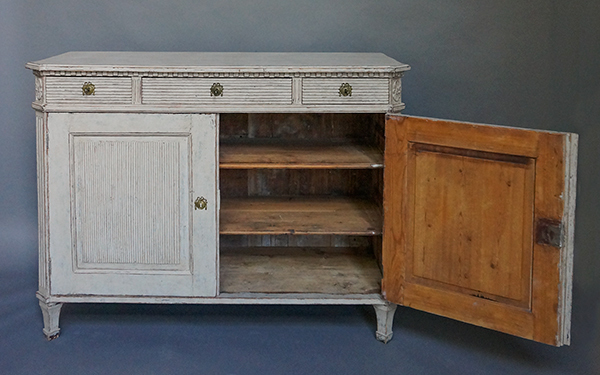 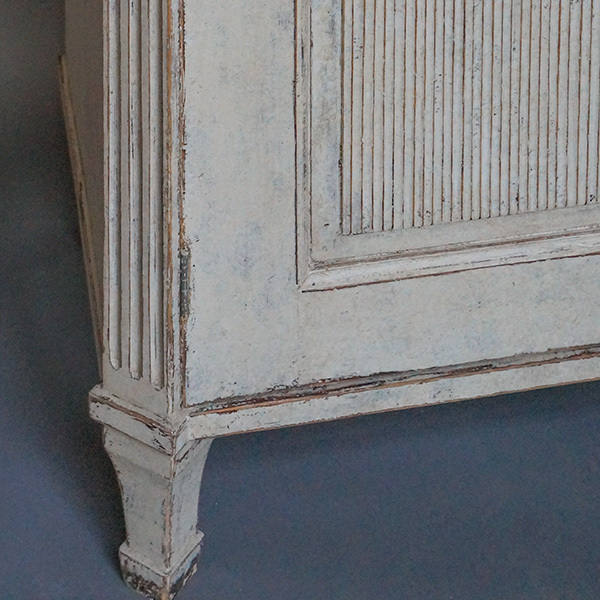 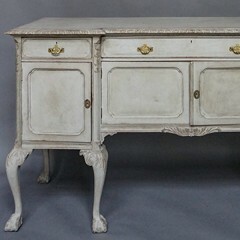 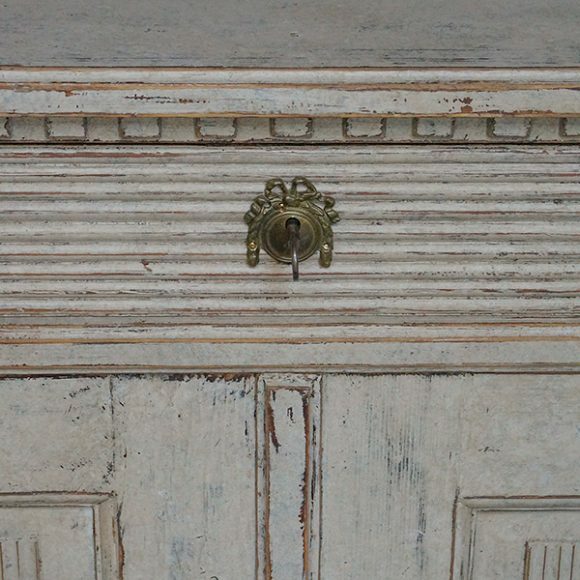 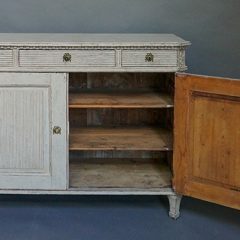 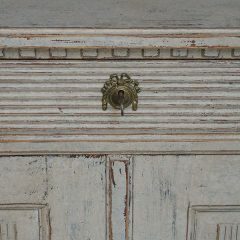 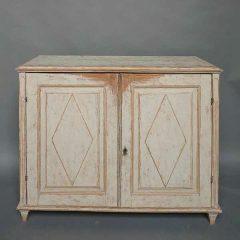 Swedish sideboard in the Gustavian style, circa 1860, with three drawers over two doors, all of which feature reeding. 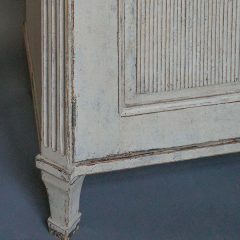 Shaped top and canted corners. 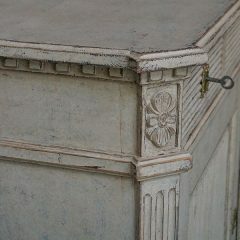 Two interior shelves.